"A child has a deep longing to discover that the world is based on truth. Respect that longing. In our attempt to help children grow into inspired adults, we wish them to carry the youthfulness of their souls, and the wonders of childhood into their old age. " 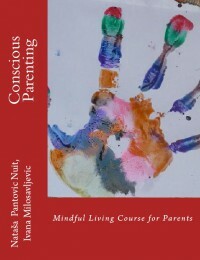 Inspiring Conscious Parenting Quote by Natasa Pantovic Nuit. Exploring, experiencing and imitating the world of grown-us through the free play, children are given a chance to unconsciously learn and emotionally mature through their own games. Too much of today’s learning is structured, children are ‘directed’, ‘instructed’ and carefully ‘followed’ at all times, so they do not have a chance to experience learning through unobstructed observation.